Hawaii, a dream vacation. For us, yes. 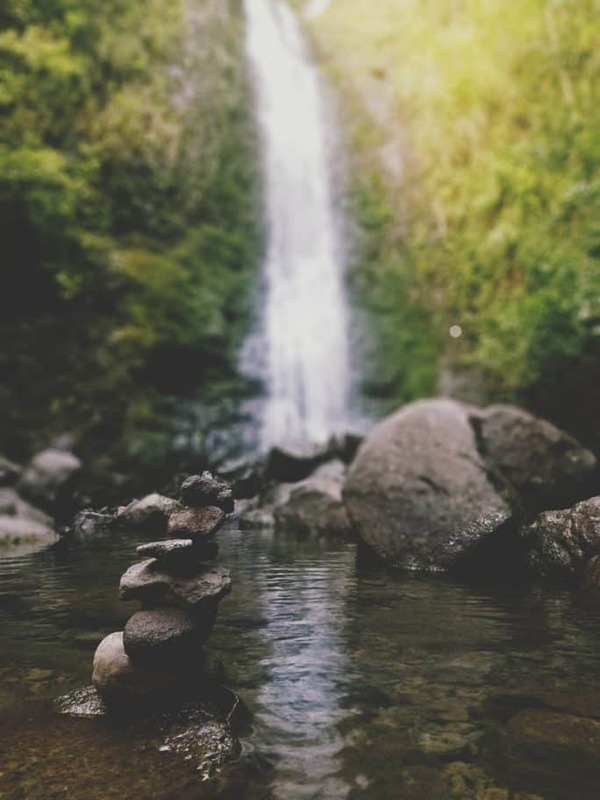 We needed a getaway that would recharge our batteries, get us outside to play, and that we could do on a very cheap budget. 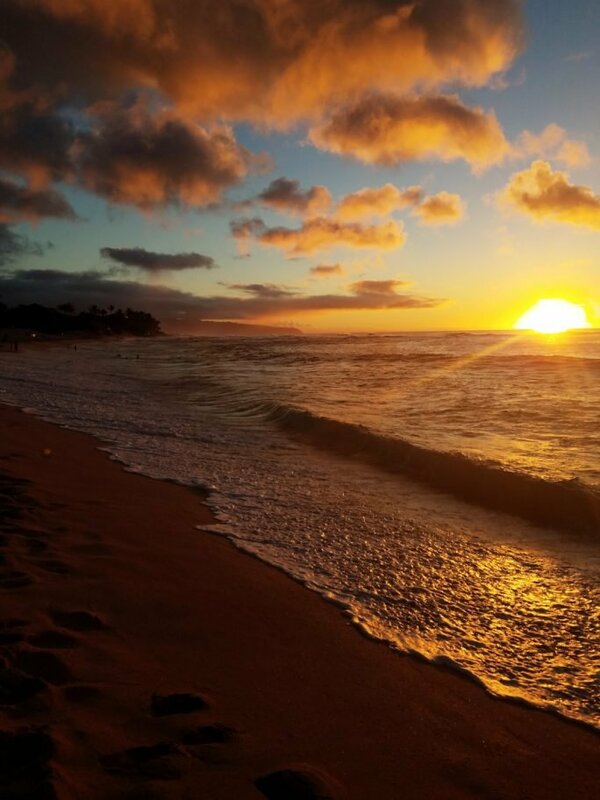 Is it possible to have a cheap Hawaii vacation? Luckily our Oahu vacation proved to be one of the highlights of the year, coming in at under $2000 including our hotel and airline tickets. We enjoyed 8 days on Oahu. 3 in Waikiki and 6 on the North Shore. We didn’t sacrifice or miss out. We enjoyed hikes, snorkeling, exploring the history, views that left you breathless and all the local food we could get our hands on! 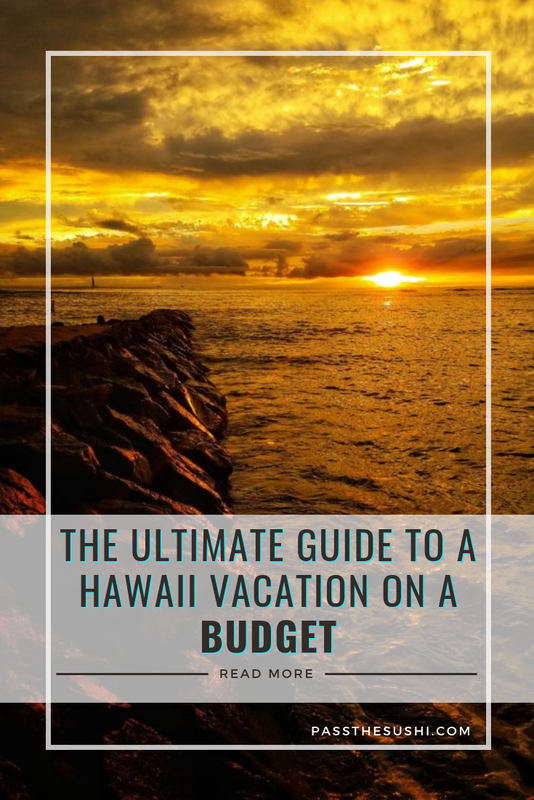 So, how did we do a Budget Hawaii Vacation? Here we are breaking it down, dollar by dollar. 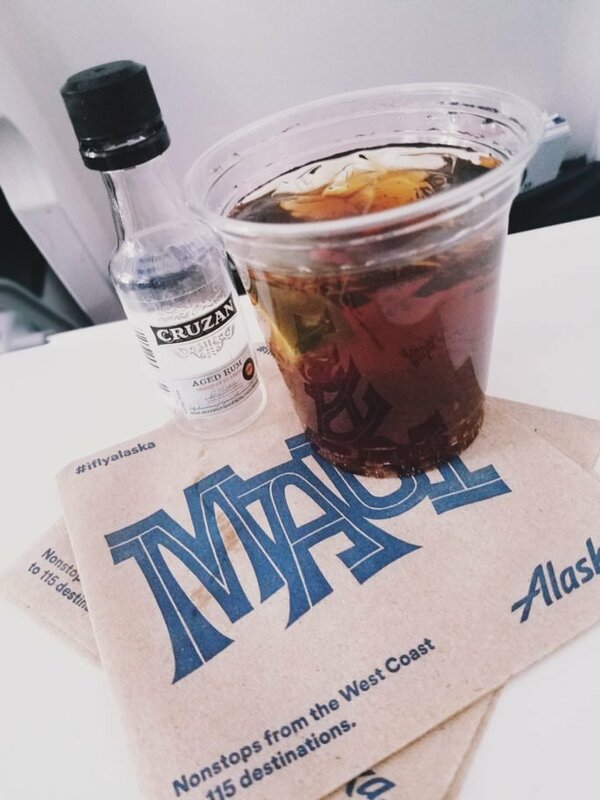 Alaska Airlines is a pro at flying to and from Hawaii, and lucky for us, work had us put quite a few miles in with Alaska Airlines last year. So, after hoarding our miles (and not being able to use them for anything but airline tickets anyone) we played the game. Finding that neither of us had quite enough miles to book 2 round trip tickets, we were able to transfer my miles over into one account for a small fee. This allowed us to book round trip tickets from Boston to Honolulu, in Economy plus or better for every leg (with one even being first class). Like that, using very little of our budget, we booked cheap tickets for a vacation to Hawaii with no agenda in mind. Travel Bonus, did you know you can cash in miles with American Airlines and Virgin to count for your Alaskan miles too? Yep. Travel Bonus 2: Did you know that if you even one leg of your Alaskan trip is in first class, you get access to the Alaskan Airlines Lounge? Save money on airport food and enjoy their beautiful coffee bar and breakfast buffet as well as some peace and quiet while you wait for your next flight. We booked a rental car knowing that we wanted to explore the whole island and had a few stops that wouldn’t align with the bus schedule. There are ways to do public transportation – and they are easy! We opted for the car for my camera equipment and knowing that I would want to be chasing sunrises and sunsets at odd hours. 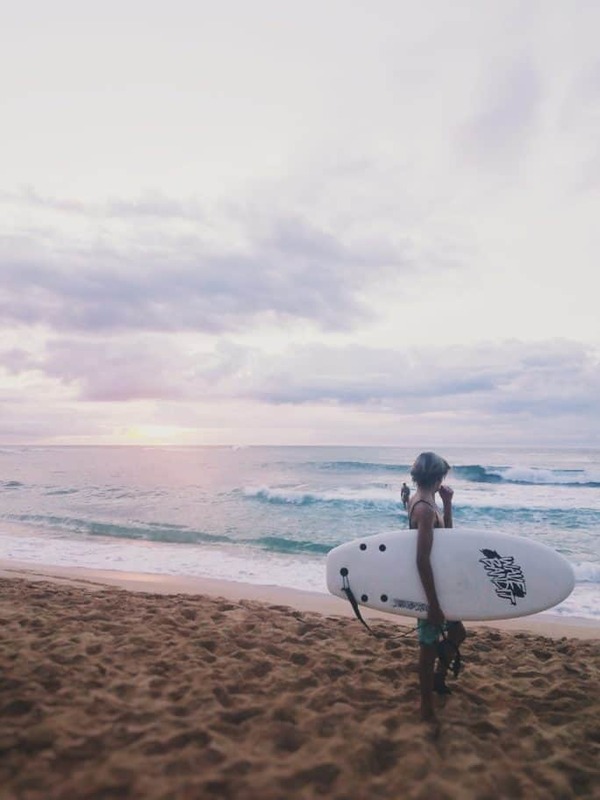 If you are going just for a true vacation – skip the rental car and use Oahu’s great public transport. Especially if you are planning to stay local in Waikiki or Honolulu, public transit is a great cheap way to get around on a vacation in Hawaii. Book ahead online. The best discounts are online. Unsure if you are going to need a rental car. I have been known to wait until the wheels hit the ground at my destination airport to book. But, I always book ahead. Use the trip sites. Check Kayak, Hotwire, and Orbitz for the best online price. Check to see if they accept military or AARP discounts. If you have earned these discounts, use them! Check for a coupon. Once you have your car picked out, search the web for additional discount codes and promotions for the travel site you are using. I was able to get an additional $20.00 off of this rental from a coupon! Every hotel I researched in Honolulu or Waikiki seemed to come with all sorts of additional fees. From parking to miscellaneous resort fees there wasn’t any getting around it. Just keep it in mind when you are looking and make sure to add it to your bottom line budget. Here’s where I splurged. Wanting a true luxury experience, I booked a hotel that was more expensive than we needed to spend. In all honesty, I wouldn’t do this again. The views really are so incredible the hotel doesn’t matter and even a less expensive hotel would have done the job for what we needed. We slept and showered in the room (ok, we also spent a few hours a day working) so really, any hotel would have done. I booked the Lotus Hotel, which was a bit further out from the middle of Honolulu and had access to the beach and a hotel restaurant and bar. The parking was included and it had minimal resort fee ad-ons. I loved that it was located within walking distance to shops and the beach. It was in a quieter part of Waikiki. The day staff was wonderfully friendly, offering tips and suggestions every time we came into the lobby. The rooms were modern and sleek with huge sliding windows to a balcony and views of both the ocean and of Diamond Head. Disclaimer, there were also other hotels in the views, but it was still beautiful nonetheless. If you are willing to forgo the ocean view, the prices get much less expensive for hotels that are equally as good. For those of you playing along, you will see the resort fee was waived. We didn’t ask for this. There was a complication at check in and the gentleman who waited on us kindly waived the fee without us even asking. Our huge savings was for the second leg of our trip when we got out of Waikiki and booked an AirBnB on the North Shore. I find searching for an AirBnB to be stressful. I want it to be good and knowing the images could be not actual representations of the location, I was weary. 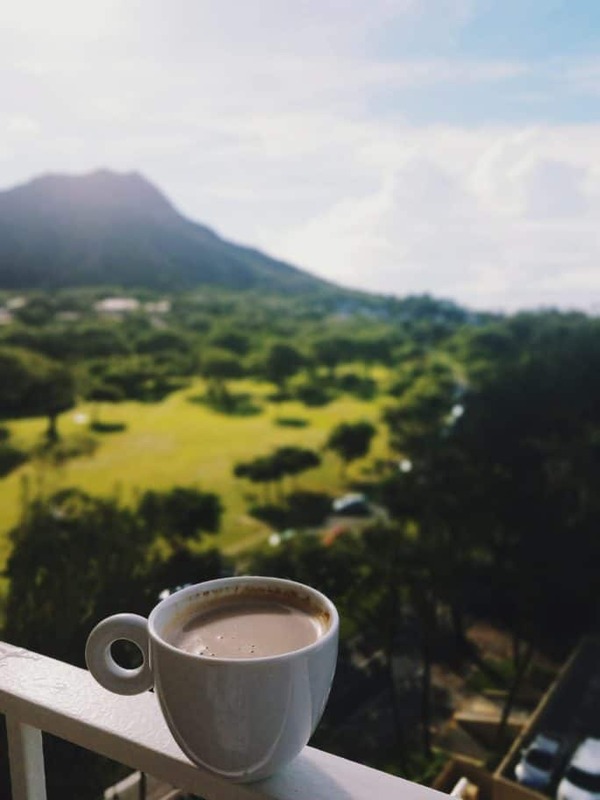 But, we got lucky on our Hawaii vacation, with the cutest studio apartment, recently remodeled, within walking distance from everything we could want, and well within our cheap budget. Our host was fantastic and even included things like fins and bikes to use to play. Here is a link to the exact AirBnB we stayed at. We used the full kitchen to store food and save money, make our own coffee, and even mix our own Hawaiian style cocktails (another huge money saving tip). 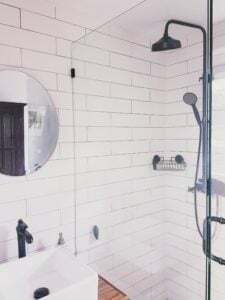 There was an outdoor shower to rinse the sand off and nightly walks down to Sunset beach became a quick habit. Be sure to check the cleaning fees and other additional items listed for each AirBnB so that you can be sure of your costs before heading it. 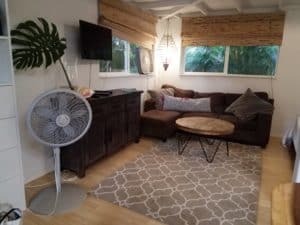 Is booking AirBnB safe on Oahu? I had heard some horror stories about AirBnB. Friends have told me that they have shown up to locations to find the images completely misleading or the property not even there. 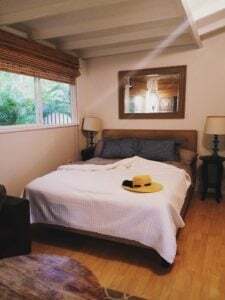 I have been using AirBnB, VBRO, and HomeAway as an alternative to hotels for about 5 years now and love it as an option and have never had a problem. Our host on Oahu was amazing. She was incredibly responsive. The house was immaculately cleaned and beautifully styled and outfitted with everything we’d need for a comfortable stay. (Confession, I liked it a lot more than the hotel we stayed at – it felt more like me). Search out “Superhosts” when browsing for a rental and carefully read all the reviews for a place. Check to make sure the images are actually of the rental and not just nearby sightseeing spots. And always book through reputable booking sites with protection policies in place for both you and the host. 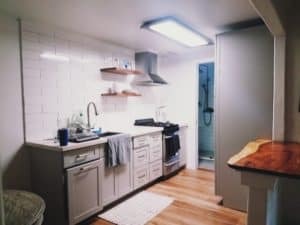 I have been using rented spaces, everything from single rooms to tiny houses for over 5 years and have never had a bad experience. Skip dining out and hit up the ready-made food at the local grocery store. Not even kidding. 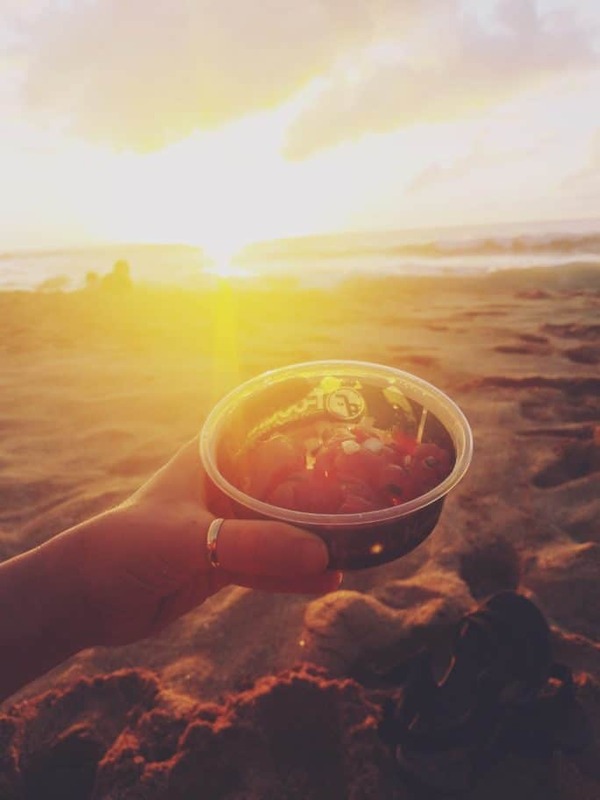 Some of our favorite meals were grocery market poke on the beach. Which, became our go-to pretty much every night while we were on the North Shore. On vacation in Hawaii, fawning over the cheap fresh foods counter at Foodland, eating amazingly well and under budget. And it was across the street from Sunset Beach. One, the sunsets weren’t to be missed, two dinner was like $10. And it was fresh and delicious. Sign up for the in-store coupons – the same system you use at your local markets at home to save money is often available at supermarkets all over. Sign up for the points cards and look for the deals! We saved a ton of money shopping like a local. By the time we got to the North Shore, we had already been shopping at Foodland and gotten a points card. The ready-made food section was stocked with a variety of poke, fried chicken, sandwiches, edamame and more. The only thing we added to our poke to go was a bag of tortilla chips to scoop it all up in. $1.00 fried chicken. You bet. The perfect mid-day lunch or snack. Stopping at Foodland became our nightly dinner for about $15 (because we were trying new things) for half the time we stayed in Hawaii. There is an abundance of fresh markets on the sides of the roads all along the coastal highway. Pull over, stock up on the fruit and enjoy! A vacation in Hawaii is a great reminder just how cheap and delicious fresh real ingredients can be. At the gas station. Not even joking. They have a variety of musubi, manapua, fried doughs, stuffed buns, loco moco platters and more. It was a food lands dream! (I mean, if you are totally cool with embracing 7-11!) The hot food ready-made section was bigger than the local Foodland and just as good. 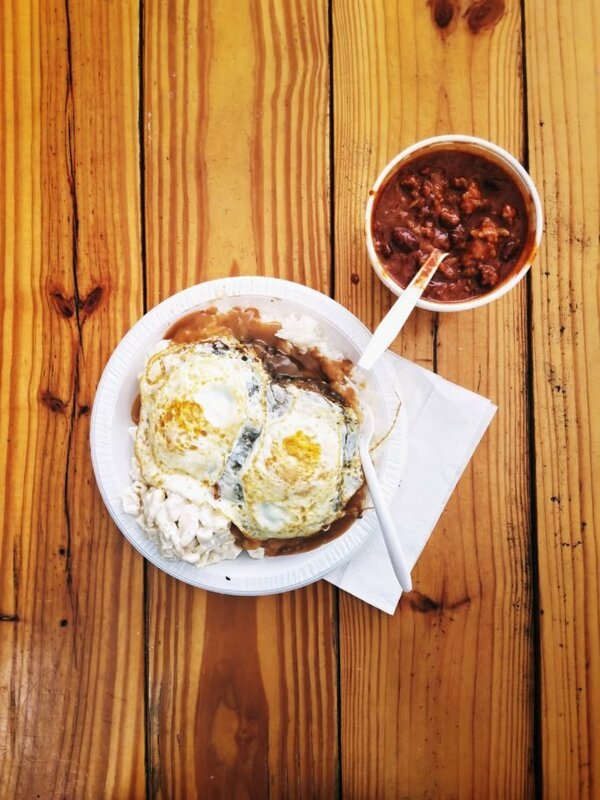 Try the egg musubi for breakfast. It’s legit one of my favorite things now. As much as I loved the poke, I did want a few meals out and my readers gave me a list a mile long of places totally worth trying! We have discovered though, that we don’t need 2 full meals and appetizers. That often, we can split one plate and feel satisfied. So, throughout our trip, we pinched pennies by getting one main meal and sharing. Plate specials are a thing in Hawaii. 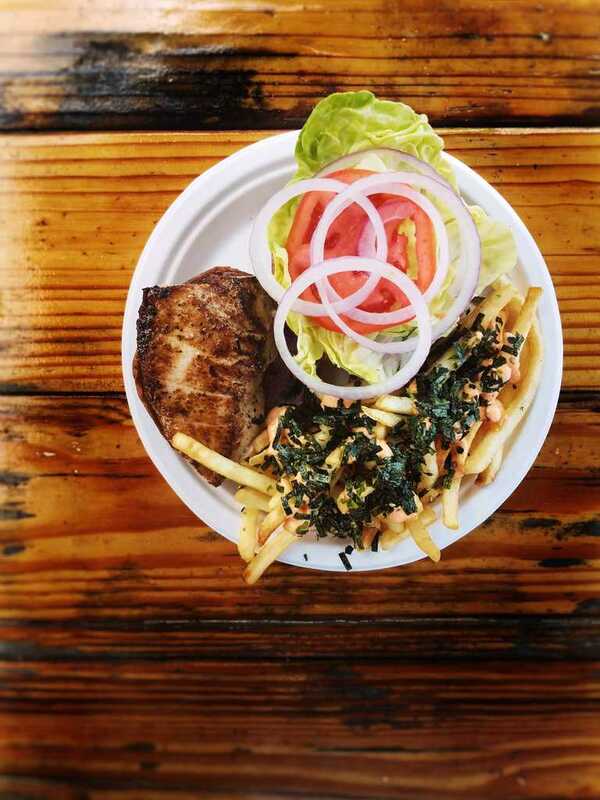 They often include a main protein, a side of rice and a side of macaroni salad. Let’s just say using the word side is an understatement. These are HUGE portions. Everywhere we went, the ‘sides’ were bigger than my fist. 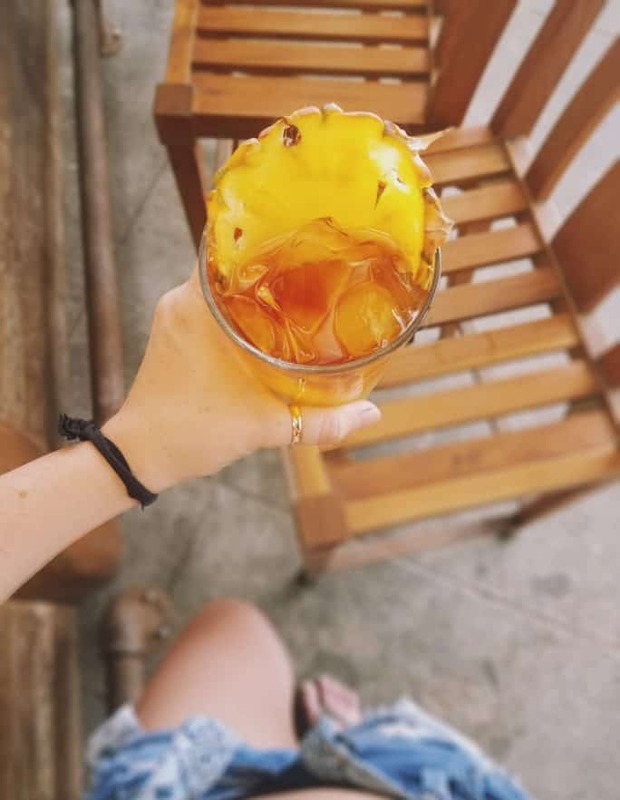 Head into town and find happy hour specials on cocktails if you are looking for a night out. Many of the resorts offer shuttles that stop at popular centers in Waikiki as part of the included services. Hop on, hit the town for a happy hour special and walk home along the beach. Our hotel also had a restaurant and bar that had amazing happy hour specials on basic drinks and beers. We saved money by stopping here for a complimentary glass of wine before strolling along the shoreline for sunset. Total Budget Spent: $28 on cocktails. Beach access is part of Hawaiian culture and it seemed while we were driving along the coast, there was a well-maintained parking lot with showers every few hundred feet. We skipped a lot of tourist events and just cruised from beach to beach with our snorkel gear seeing which area we liked best. Some were crowded, some had waves and other were calm inlets with warm wading water. One day while the waves were rough, we totally lived it up at the Turtle Bay Resort. Their beach is protected on either side and was calm even as waves were crashing past the reef. We snorkeled for a bit and then hit the restaurant for a happy hour cocktail. We debated long and hard over a luau. It seemed like a lot of fun and a great way to experience something truly Hawiaan. However, they all came with a price tag and after debating for days over it. We decided to skip it. We had seen a few from a distance and it seemed enough. That being said, our research showed us buying online and ahead of time was the best way to save money. And the one at the Polynesian Culture Center was the one we would have booked on our vacation to Hawaii, very authentic, and the best deal for a cheap budget. One night while grabbing a smoothie on the beaches of Waikiki we sat and listened to a beautiful trio play music. For an hour. 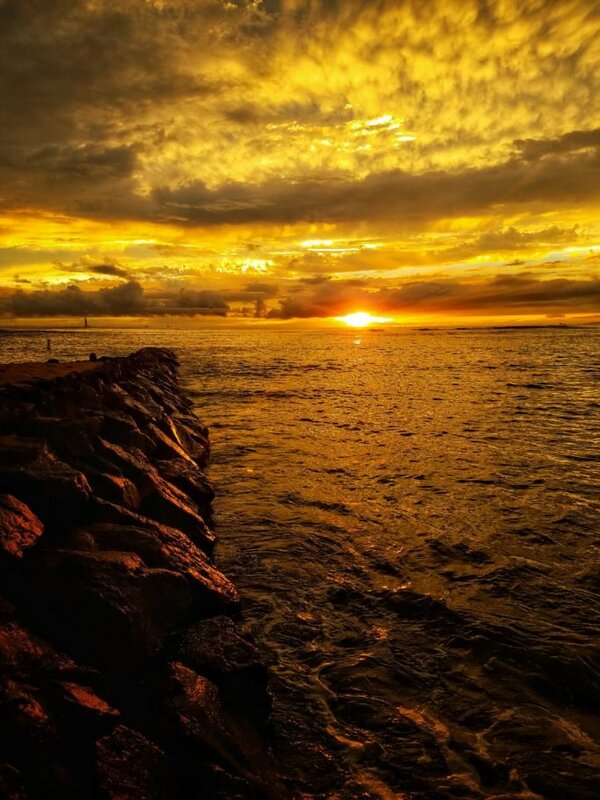 While the sunset. And it cost us…. a smoothie. (Which was also delicious). Another night, in the center of the Ala Moana Center, we watched a cultural presentation, for free. We just happened to be there at the right time. On Friday nights, anywhere with an ocean view in Waikiki, you can see a beautiful fireworks display. Walk along the beach with the fireworks going off under the stars. Even though spots can seem crowded, it’s quiet and calm. 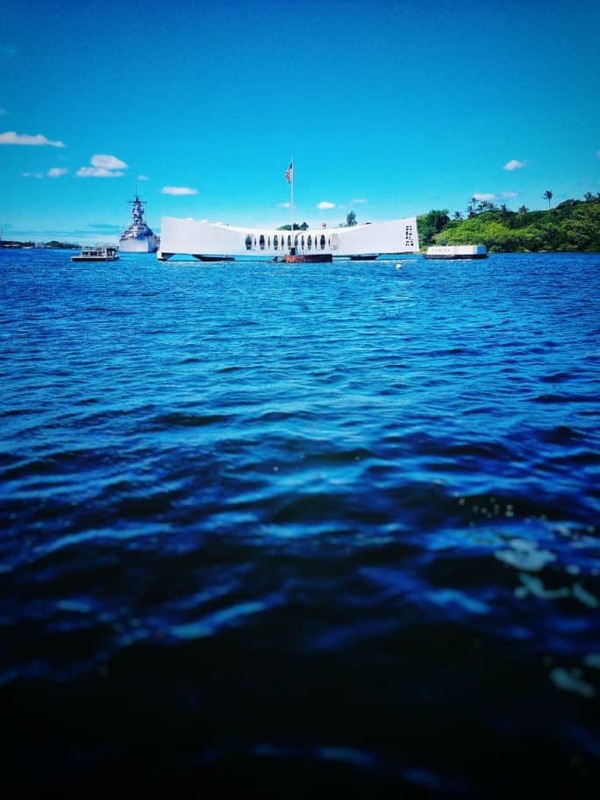 A visit to Pearl Harbor National Monument was also a must do while we were there. We made sure to get there early and get the free tickets to ride a guided boat out along the harbor, where the sunken ships lie and to the monument. It cost us nothing but is a priceless experience everyone should consider while visiting. And lastly, for years I didn’t buy souvenirs and pinched every penny while traveling. You can’t take it with you, so remember to splurge on a few things and live in the moment. For us, it was chocolate covered macadamia nuts and some cooking ingredients that we knew we wouldn’t be able to get locally back home. And like that, our total spent came to just under $2000 after we picked up some gifts for friends and family at home and filled the rental car with gas. After spending a week on Oahu, I have been inspired to bring a Hawaiian flair to my cooking. Here are a few of my Hawaiian themed recipes to try! If you’ve enjoyed this travel review or any other adventures on Pass The sushi, let me know where you found us in the comments below, I love hearing from you! You can also follow along for more good eats and travel tips on Instagram @passthesushi & @girlcarnivore, Twitter & Facebook. 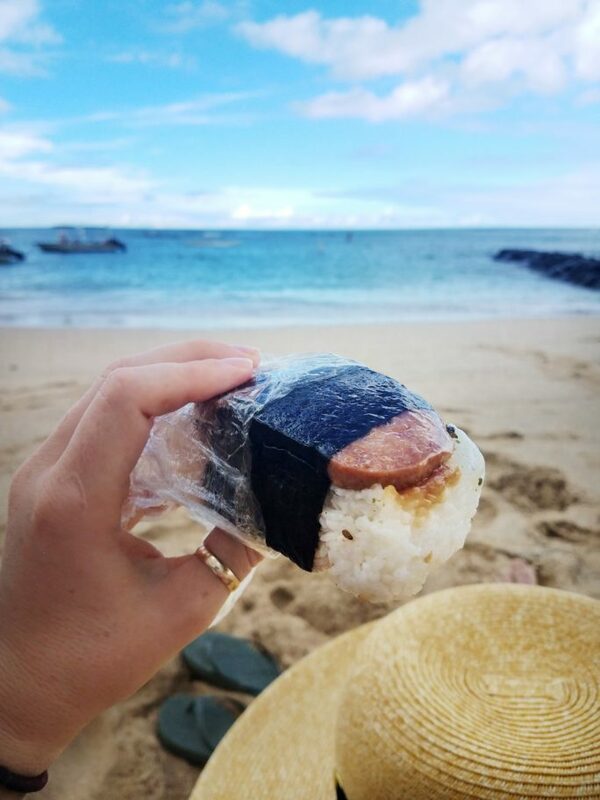 Hawaii is near the top of my list for future travels so I really enjoyed all the details provided about costs and the foods.